So, I got an early Christmas present from a good friend of mine. That most intriguing of gifts, miniatures for a system you don't play. In this case the game was Warlord Games "Exterminate!" and the set was The Twelfth Doctor and Companions. Which is good, because Peter Capaldi is my favorite of the modern era of Doctors. I painted these up in a very enjoyable weekend when I probably should have been doing something more productive. 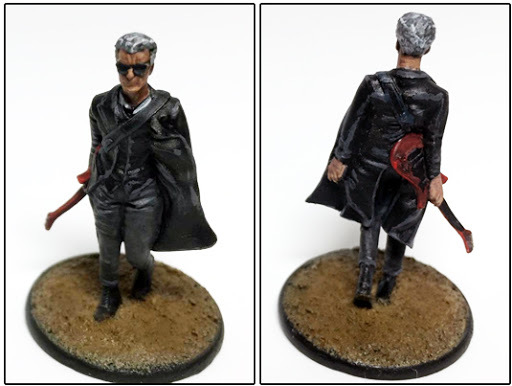 First off we have the 12th Doctor doing his best Johnny Cash impersonation. This is taken from the promotional image for season 9 episode "Hell Bent". It's quite interesting that you can sometimes track down the exact picture the sculptor has used to create the miniature. 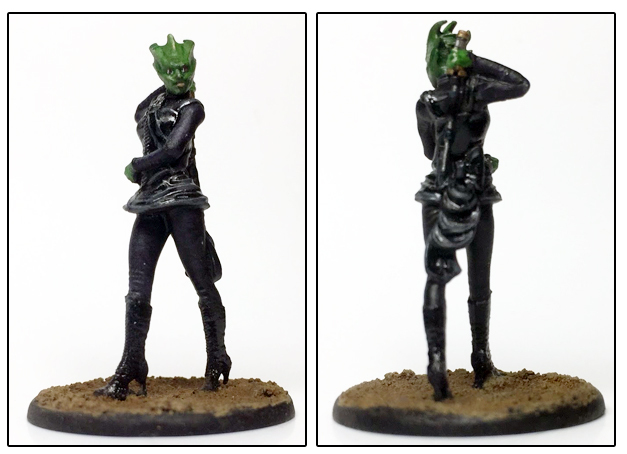 I painted this one first which is why all the models ended up with a sandy base. A word about the bases. These metal models come with little cast on metal bases for display, and then round gaming plastic bases you can glue on to make them more stable and a uniform footprint. I didn't want all my models to be standing on tiny hills, so I clipped off the metal bases to attach them to the gaming bases supplied. This was tedious - and even my big sturdy metal clippers are now a little out of alignment. Also, if you don't own a second set of clippers for brute forcing through lumps of pewter, don't use your everyday snips, that will not end well. The sculpts are otherwise very clean and with very little flash. Painting the model was interesting. I am very used to painting Games Workshop stuff which tends to be absolutely festooned with detail, and with a lot of contrasting colours. This was a far more subtle project where I really had to think about how to paint black in a number of different ways to try and imply a sense of texture. The models are also proportioned like human beings, and are not at all heroic scale. Which presented a challenge in some regards. That guitar is tiny. Clara is just kind of walking along. She is as she appears in season 9 episode "Face the Raven". (except in a desert because I wanted my models to be based the same way) This model stretched me a lot. Trying to paint, you know, that ubiquitous gray jumper material, was a thing that make me scratch my head a lot. Clara is also quite made up, so I tried to paint eyeliner, which is definitely a first. I'm happy with how her face turned out. 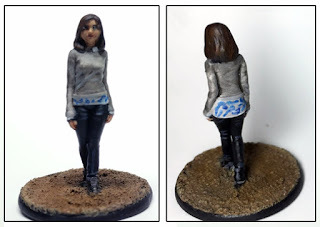 I'm considerably less happy with the blue freehand on the bit of her blouse that is sticking out under her jumper. Lots of people on the internet have just "not tired" but I didn't want to let it defeat me, so I gave it a go. Incidentally, I like Clara. I know that is controversial, but I'm not sure why. She was better with Capaldi then she was with Smith, however. Madame Vastra, and the rest of the Paternoster Gang are taken from their appearances in season 8 episode "Deep Breath" This was an interesting model to paint. The head is even more of a focal point then usual - and I think I managed to paint it up to a reasonable standard. The rest of the costume was, again, very black. The arms and sleeves have a subtle purple pattern which I probably failed to capture. I brushed on some glass varnish over my usual satin spray coat to try and differentiate some of the materials. You can tell, that unlike say Warhammer or Malifaux, the colour schemes were not designed to be painted onto miniatures. Not much to say here as she is basically in the same costume as Vastra. Except the pattern on the arms and legs is grey instead of purple. I do think I did a good job on the face. Coming from the kinds of games I come from, the sword seems so very stubby. At first I actually thought it was broken. However you just have to adjust when moving from heroic scale to true scale. I did put a bit of blood on the sword (but only a little). 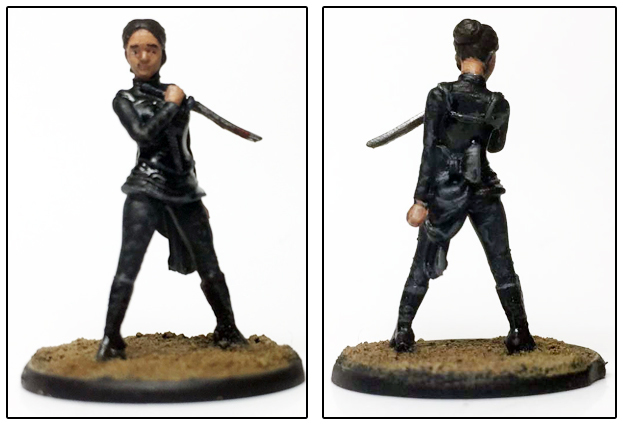 I know that's not totally in the spirit of the setting but I wanted to introduce a little bit of interest to the model. 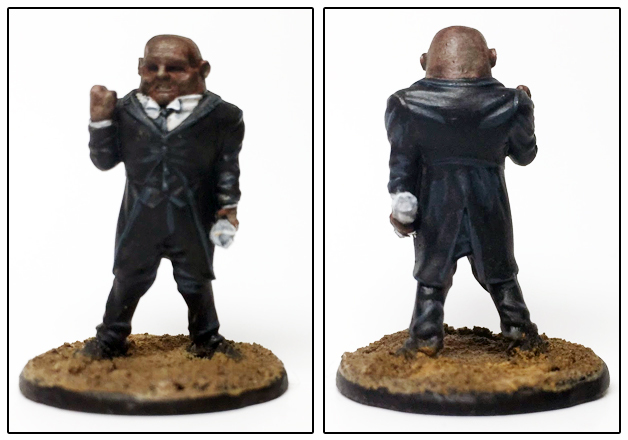 Finally we have Strax. I do think it is a little unfair that Strax is in his street clothes where the other two are in there battle costumes. Stax does in fact stomp around in his armour with a big laser gun later in the episode, which might have been cool to see. Again, a very black costume, but again, the head was very interesting to paint. Took me a long time to get him to a point where I thought he looked okay. I think it was a dark fleshtone, with a brown wash, and then a light brown, and then a second brown wash. I did also look into the "Exterminate!" game. I am still somewhat on the fence about whether or not this is a game I will buy into any further. I enjoyed painting the models, because a change of pace is good and it let me flex different creative muscles. And, they are very nice miniatures. On the other hand, it's very difficult to find any information about the actual game online. I like to try and picture the collection of models that getting into a game will leave me with. 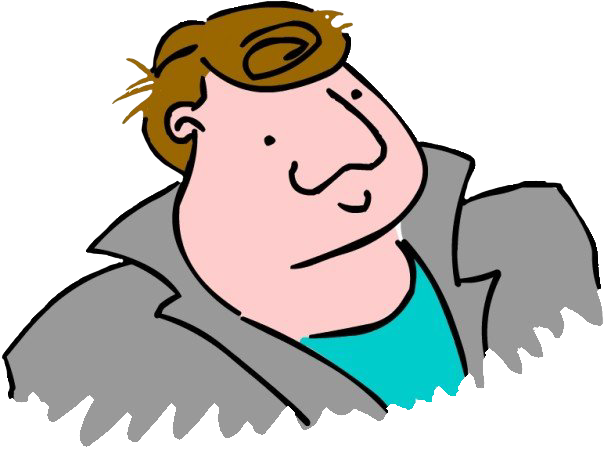 Form what I can grasp, listbuilding is a very simple affair you get a number of cards as determined by the scenario. Some armies (such as Daleks or Cybermen, the two armies in the starter set).have cards which provide three 'grunt' models in one go, but if you are playing as the doctor and his companions, you will have cards with one model on each. Firstly, won't everyone want to play the Doctor? As far as I have been able to work out, the scenarios have one set of win conditions for two fighty armies playing them, but then if the doctor turns up he gets a separate set of wind conditions. I suppose it will be wise to collect two forces. The other races are more straightforward. Daleks, Cybermen, Judoon, Silence. You can take a group of one particular race. I'm a little more confused about things like the Missy. 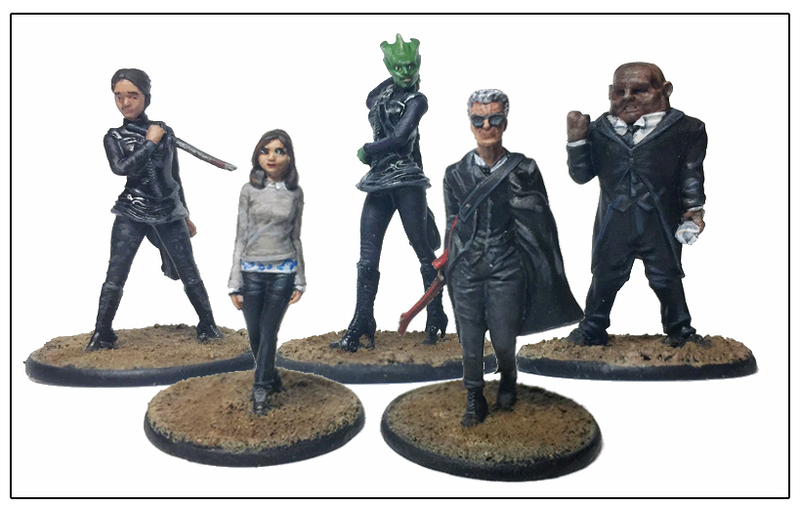 Right now you get a Missy miniature in a box full of Cybermen, so presumably she can go in an army with the Cybermen - but shes not a Cyberman. Does that matter? Could I take Missy (or another incarnation of the master) with other things? And make like a dark counterpoint to the Doctor and companions? Sort of like the Doctor and hangers on vs the Master and hangers on? I think to get answers I will need to pick up the starter set, rather then trying you read the rules off of youtube videos. It's cheap enough (compared to other miniatures games) at £35 so it might be worth a bit of a punt. My wife says she will paint one of the sides and play against me if I decide to pick it up, so that's something. Also, a further question about list building. If it's just done on number of cards, then how is say, immortal time agent Jack Harkness in any way balanced against like, Rose's Mum? I tend to play three Recruitment cards aside, Phil, which thus provides a leader, 2 elite and 3 minions. The Adventure cards, specific to that faction then tend to 'balance' any weighting issues with the different races traits.